Got to fish with my buddy Capt Ward Kowalyk from Fort Myers - www.captainward.com - a few days ago. We traveled west to the Maequesas and we were greeted immediately by a school of bonefish, in which Ward landed his first one of the day. Capt Ward ended up with 4 bonefish on fly and three permit followed his fly to the boat but we were not able to entice a bite. We got clouded out half way down the flat otherwise I think many more bonefish would have been caught and there would have been more chances at permit. Ward is a great guy and if you ever get to the Fort Myers areas and have an opportunity to fish, definitely look him up. 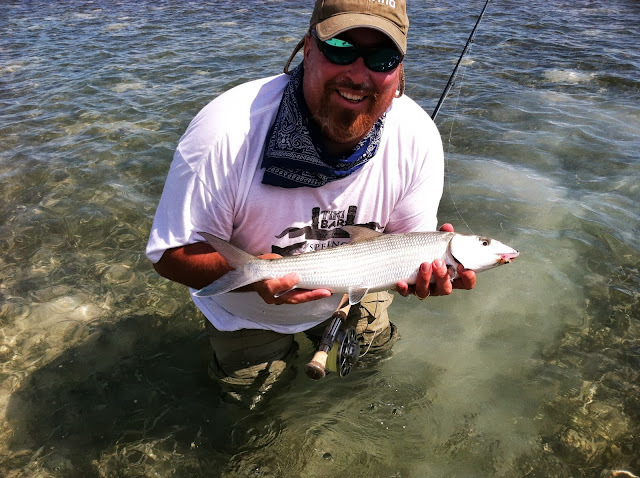 Here is a short video we shot with the iphone of Ward's bonefish. He may have hammed it up a little! !